Attendance tracking made simple with Kicksite Martial Arts Software. Engage your students with a simple student check-in screen that makes checking into class simple and fun! Students can immediately see their attendance records after checking in so there is no more guessing or time spent looking for it later in their records. Customize requirements to automatically reward students for making attendance a priority. With Kicksite martial arts management software, you have the ability to easily track attendance and make the check-in process go smoothly for your students. Having the ability to implement an automatic electronic check-in station not only excites your students, it shows parents that your martial arts studio is efficient, professional, and technologically-advanced in comparison to other studios. Upon your students arrival to class, engage them with our simple student check-in screen that makes checking into class fun and easy. Don’t want to use a screen for student check ins? No problem! Use Kicksite for mass check in — set the date and time of the class and come back later and check the boxes of students that were in attendance. Once your students are checked in, they have the ability to see their attendance record for their martial arts class. 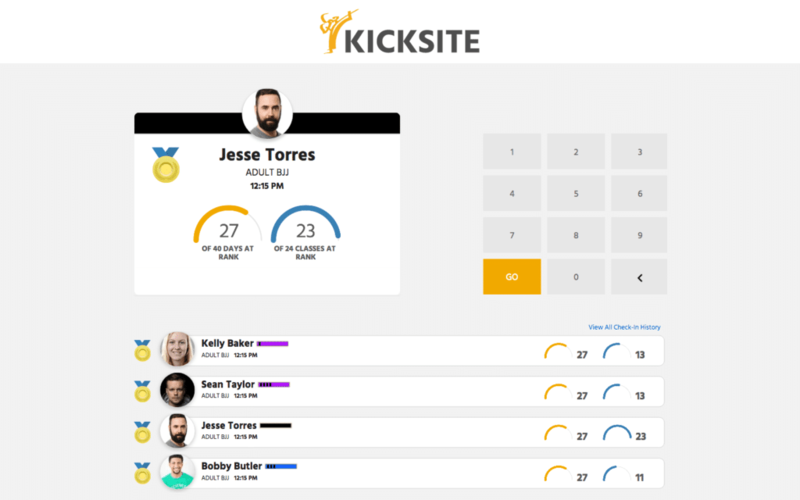 To make things fun and competitive, you can customize requirements within Kicksite to automatically reward students for making attendance a priority. At the end of each month, have your instructors reward their best attended classes with a pizza party, dodgeball, special game, etc. It’ll be a huge hit! 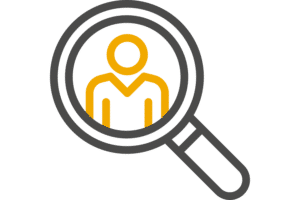 Within the software attendance reporting section, you will have the ability to pull a large amount of useful data that will help you run your studio efficiently and effortlessly. Pull attendance percentages, ranks overview, or break down of attendance by belt rank. Use the custom reporting area to view programs and ranks, or automatically pull which students logged in within a certain time to print quickly and give to an instructor to use on the floor during class. Whatever your needs, Kicksite’s unique attendance tracking gives you the ability to pull whatever information you need about total attendance for the hour, week, month, and year to help you run your business smoother and make informed attendance decisions.